River Trent Angler. 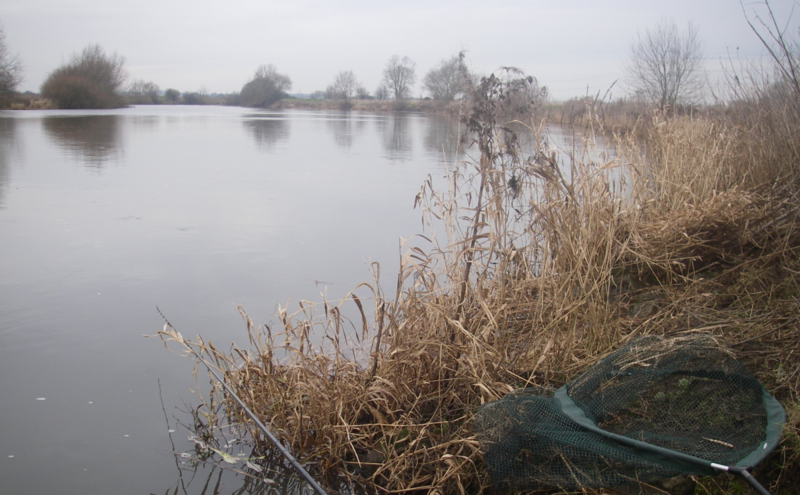 – Page 2 – Fishing the River Trent mostly with a float. River levels and winter rain! Despite some decent rain recently, it seem the river levels are remaining the same. The crazy rainless summer heatwave of 2018 dried out the ground so much it seems, it will take a huge amount of water to soak it through. I’d imagine the aquifers underground are all but empty, and I wonder what the consequences of another such summer in 2019 would be. Without this rain I’ve found the rivers low and clear making my fishing really difficult. I’ve gone back to my old recipe for Cheese paste, dumping the one made with bread recently, it was just not how I liked it. So with a ready made pasty mix, mature cheddar, blue stilton the paste looks and smells amazing now, how could any fish resist it? In the old days 1960/70s I would just leave this in my bag, so it would age, and get more tacky and smelly as the months past by. Now I just pop it in the fridge between trips, if it makes a difference I don’t know, but the garage doesn’t smell of rotten old socks. Also pleasingly you don’t have to hold your nose when baiting up. I’m told putting some pop-up mix in the paste can help with buoyancy, but I’m undecided. I think a cheese bait should lay on the bottom naturally as the free-offering lumps do. Any way we will see, out soon, pop back and see how I do. Author Fishermanrichard.Posted on December 5, 2018 Leave a comment on River levels and winter rain! Author Fishermanrichard.Posted on November 26, 2018 1 Comment on Stationary baits in cold weather. Author Fishermanrichard.Posted on November 24, 2018 November 24, 2018 Leave a comment on In the Footsteps of Wilson! Author Fishermanrichard.Posted on November 20, 2018 4 Comments on Unoccupied. Author Fishermanrichard.Posted on November 12, 2018 November 12, 2018 Leave a comment on Sort Rods. Winter Roach and Dace on the tip! Another nice day fishing on the little river, taking a nice bag of Dace and Roach to almost a pound on the stick float. Oddly even though the day was more dull than the last trip, the fish feed better in the sunshine opposite to what you would think. Today the River had a nice tinge to it, and I thought that at any minute a big Roach would show it-self, but sadly it didn’t. However I took some nice Roach to 8oz, that convinces me that a very big fish could be in one of the deeper pools, along with the big Chub. I believe Roach up to around a pound are shoal fish and live with other Roach in the long shallow 3’/4′ deep glides, this is also where the Dace collect in winter time. But once the Roach reach a pound or more they become less of a shoal fish (there are less of them) and move winter quarters to the deeper pools with cover. These pools also hold the better Chub, Perch and even the odd big Bream (seen less in the last few years). The big Roach are much harder to catch than the Chub as they get to the bait first, fishing after dark could be the answer as the Chub move up the swim (often to shallower water) to feed on Minnow. Many years ago when I fished solely for big Chub, I found fishing in the shallow water at each end of a pool could be effective, even on the coldest of nights. While the trotting has been fun, I think sitting it out with a static bait like bread-flake will bring me the bigger Roach. Now I could use my light Chub rod and gear, but it won’t be fine enough in this clear river right now. No, I’ll have to find a specialist approach and fish very fine if I want those BIG ROACH. The little 10′ Cadence Wand I brought a few months ago with a light reel line (3lb) should be ideal, as I can fish a fine hook link 1.7oz with a mini open feeder with liquidised bread. These little 25 gram home-made feeders are ideal for this type of fishing. I’ll just to have decide on a running, or paternoster rig I’m still unsure on what will be best? I feed quite a bit of worm today, but nothing would take one. Oddly in these long glides Perch seem absent, again I bet they are in the deep pools already. Now a nice big Perch on worm while fishing for Roach would be acceptable, very acceptable. Author Fishermanrichard.Posted on November 7, 2018 Leave a comment on Winter Roach and Dace on the tip! Daisy and I had a half day trip to a little river near home today, it turned out a good call. While the river was low and slow, it did have a little colour. I set up with a 3 no 4 shallow Harrell stick float on the Acolyte and my old Abu 500 loaded with .14 line. A short 10′ 2 lb hook-length with a size 18s fine wire hook completed the set up. As I was setting up I flicked some maggots into the swim and they disappeared when about a foot down. What do you mean no biscuits Dad? The first fish was a nice little Roach followed by a decent Dace around 6 oz, surprisingly almost every trot down produced a bite. The wind was getting up, but the weather was bright and cheering but a little cold. I regretted leaving my coat in the car as I pulled the hood of my jumper over my ears. Daisy May simply huddled down on my -un-hooking mat among the tall grass tussock, getting well out of the cold wind. Only when I opened my tackle bag did she move, hoping a few biscuits were to go with the thermal flask of tea? I’d taken a few nice fish on the stick, but found with the slow flow, and upstream wind, the float was often at a standstill, So I changed to a small 2 AA waggler and found it much better as I could bury the line behind the float. As time passed a few better Chub-lets turned up, size about 10oz to a 1lb it made the bag build up in weight. A better Roach of 8oz was nobbled by a Pike that I played for several minutes, until it dropped a now very dead Roach. I thought the Pike would see the swim go dead, but no, I still caught until lunchtime, when Daisy remind me we had only had a spare breakfast, and I’d not brought any lunch, or biscuits. 30+ fish to almost a pound, sorry about the picture. Standing on a very steep bank! We had taken about 30 fish from a little River I could jump over (well in my teens I could). Two red maggots on a size 16s had done for them, finesse was not required today, as the fish were clearly hungry. It seems the eco-system is doing well on the little River and I cannot wait for some decent rain to bring the river up! The trotting will just get better and if any big fish are about, they should show? Author Fishermanrichard.Posted on November 1, 2018 Leave a comment on Little Rivers.